The Golan Heights, Israel, are covered by Plio-Pleistocene basalt rocks (Fig. 1), which serve as a regional aquifer that is exploited for local consumption. 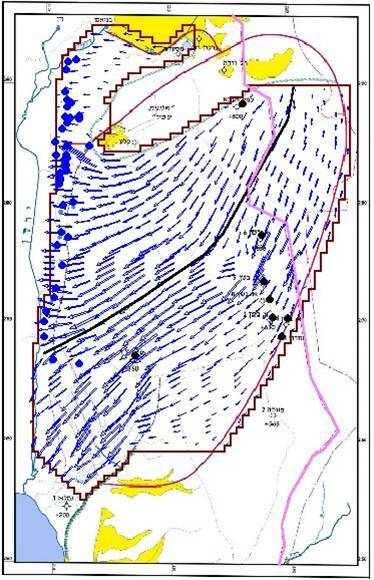 The objectives of this research were to develop conceptual and numerical hydrogeology models for describing the flow field in this aquifer. The conceptual groundwater flow model defines all aquifer boundaries, its division to basins and sub-basins, its hydrological connection with deeper aquifers and its water balance. The computerized MODFLOW model verifies the conceptual flow model quantitatively, and calculates the aquifer hydraulic properties. 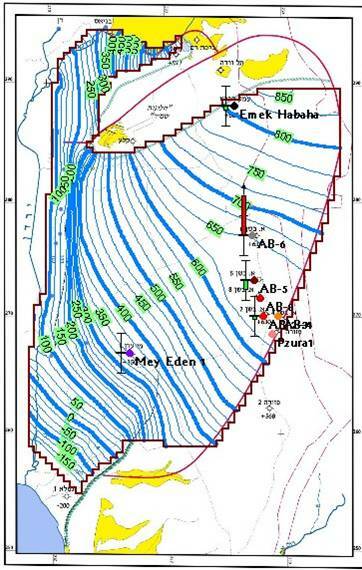 The regional basalt aquifer extends only on the north and middle parts of the Golan; at the south only perched horizons are found. The aquifer is divided into two basins according to the groundwater flow directions: toward the Kinneret-Hula, and toward the Yarmouk. The water divide in-between lies eastern of the volcanic cones in the north Golan, and curves westward to Nahal Daliyyot. 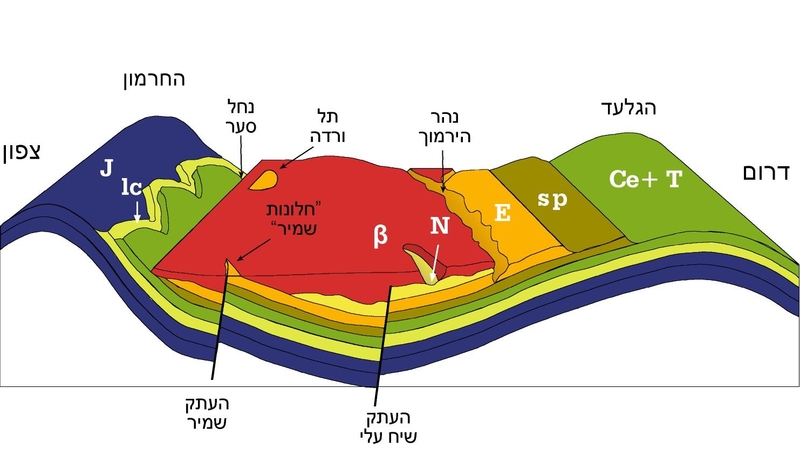 The Kinneret-Hula basin is divided into two sub-basins by a pre-basaltic topographic ridge that serves as a hydraulic barrier. The Kinneret-Hula basin yields about 85 million m3/y of fresh water on the average. It is discharged through the large springs on the western slopes of the Golan, and seeps toward Biq'at Bet Zayda (into Lake Kinneret), the Hermon River, the Jordan River and the Yehudiyya plateau perennial streams (Figs. 2 and 3). The groundwater flow-paths through shallow-perch and deep-regional basaltic aquifers are reconstructed by using groundwater chemical and isotopic compositions. Groundwater chemical composition, which changes gradually along flow-paths due to mineral dissolution and water-rock interaction, is used to distinguish between shallow-perched and deep-regional aquifers. Groundwater replenishment areas of several springs are identified based on the regional depletion in rainwater 18O values as a function of elevation (-0.25‰ per 100 meter). Tritium concentrations assist in distinguishing between pre-bomb and post-bomb recharged rainwater. 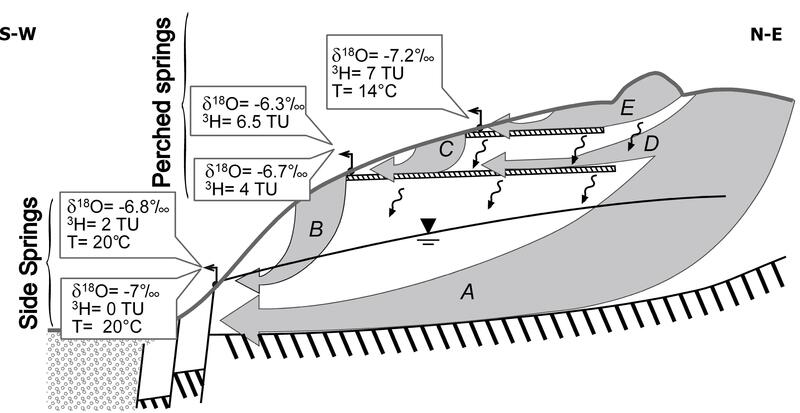 It was found that waters emerging through the larger springs are lower in 18O than surrounding meteoric water and poor in tritium; thus, they are inferred to originate in high-elevation regions up to 20 km away from their discharge points and at least several decades ago (Fig. 4). These results verify the numerically simulated groundwater flow field which considered the geological configuration, water mass balance and hydraulic head spatial distribution.